People are complex, leading often messy lives with messier relationships. We sometimes act against our own best interests, and have a hard time even discerning what we want or what’s best for ourselves and those whom we love. We make bad choices all the time, and good ones too, as we encounter what is mostly the gray of good and bad. 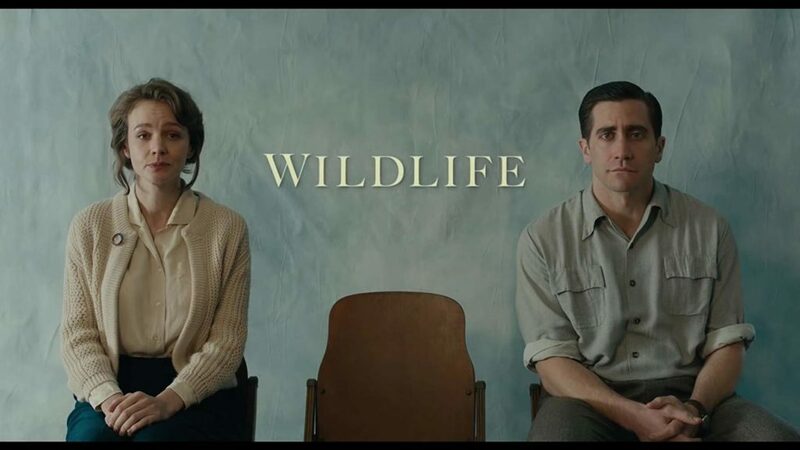 Wildlife is a film which takes a courageously honest look at a couple and the complexity of their love and choices, and the profound effect they have on each other and especially their teenage son. It is starkly real, refusing to whitewash or simplify, or sensationalize for the sake of drama. Yet full of drama this story is (co-written by Zoe Kazan, adapted from the Richard Ford novel), and so well crafted by first-time director Mr. Dano who seems as profound a teller of a complex story as he is an actor of complex characters. There are really only four main characters in the film, and the cast is magnificent. Jake Gyllenhaal (Jerry) and Carey Mulligan (Jeanette) play the couple, Ed Oxenbould (Joe) plays their 14 year-old son, and Bill Camp (Warren) is the man who gets in between. I found my sympathies swinging from Jeanette to Jerry through the course of the film, and finally to neither, settling on Joe, who bears the brunt of his parents choices, seemingly remaining whole in spite of them. All three actors give remarkable performances, but it is in the scenes between mother and son that the gravitas of the film sits, and both actors are sublime and superb. Every craft department’s work is worthy of note, but I single out the cinematography by Diego Garcia which captures the emotional stillness of the Montana setting, and the look (along with Production Designer Akin McKenzie, Art Director Miles Michael, Set Decorator Melisa Jusufi, and Costume Designer Amanda Ford) of the drabness of 1960. David Lang’s score matches the film’s delicateness, and evokes the work of the late Jóhann Jóhannsson, to whom the filmmakers give a special thanks in the closing credits. Lousie Ford and Matthew Hannam share editing credit and create the film’s excellent pacing and rhythm. This entry was posted in Cinema and tagged Carey Mulligan, Cinema, Jake Gyllenhaal, Must See, Paul Dano, Top 2018.